POLSON — Providence St. Joseph Medical Center in Polson recently concluded the expansion of its emergency department. The expansion is a response to a growing community need, growing the department from four rooms to six and adding 300 additional square feet. The building contractor was Nelson Homes of Polson. 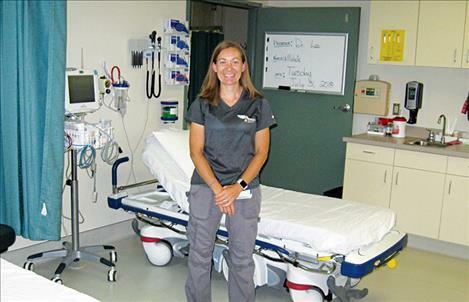 Emergency department visits at St. Joe’s have been steadily increasing each year for the past five years, with about 5,400 visits on pace for this year. The emergency department at St. Joe’s sees all kinds of urgent patients: traumas from car and water-related accidents, heart attacks, strokes, breathing difficulties and more.